The stimulating and toning action produced by this gentle facial wash-off mask tightens skin tissues, leaving it feeling lifted and firmer. And best of all, it's safe enough to use on all skin types - even sensitive skin that's easily irritated. 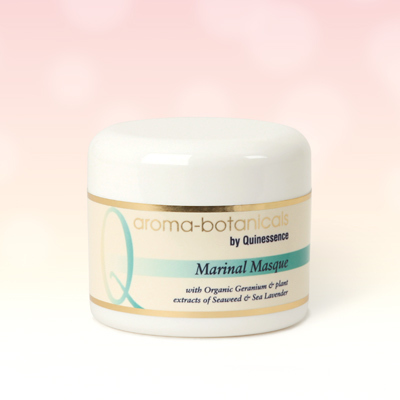 In the Natural Health magazine Beauty Awards 2009, this luxury natural-clay masque fought off extremely stiff competition to scoop the 'Highly Commended' award in the toners and cleansers category. Aqua, Kaolin, Bentonite, Glycerin, Pelargonium graveolens, Lavandula angustifolia, Juniperus virginiana, Chondus crispus, Limonium vulgare, Thymus serpyllum, Fucus vesiculosus, Algae, Lactose, Boric Acid, Sodium Borate, Gluconolactone, Sodium benzoate, Calcium gluconate, CI 75810.